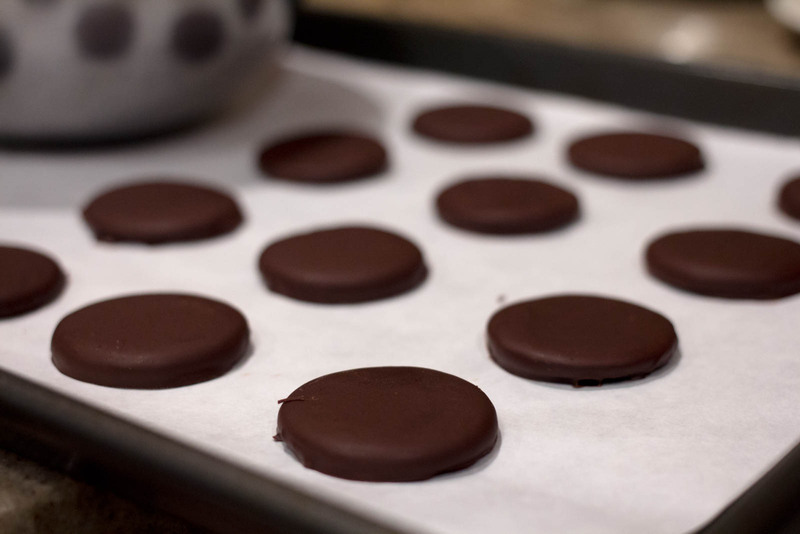 My favorite Girl Scout cookie is Thin Mints, but I don’t always get my hands on them so why not make some myself with just three ingredients. While I have previously seen this same process done using Ritz crackers (like via Dessert For Two), I came across other recipes which used Oreos instead. 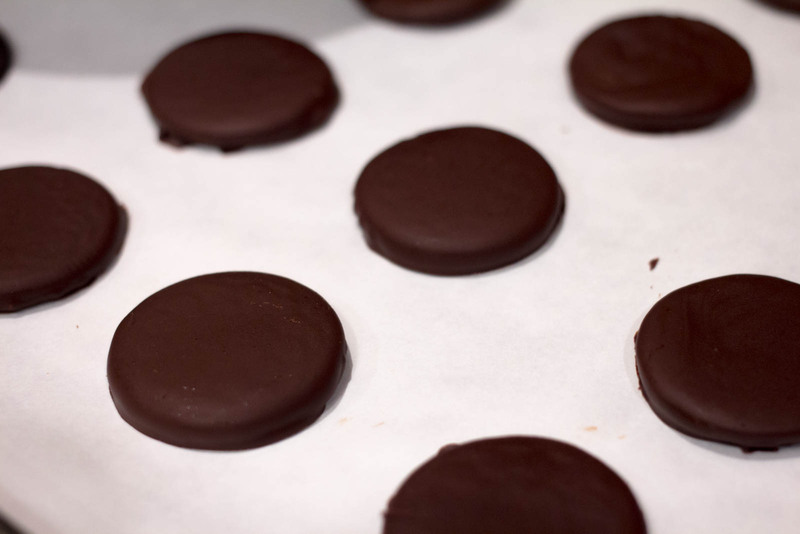 I think it’s rather genius to use Oreos if you want your Thin Mints to have a chocolate cookie base like the original. Once coated in melted chocolate flavored with mint extract, these taste as close to the real thing as possible. If you have fifteen minutes to spare, then definitely go ahead and make these. Oh and I suggest that you store them in the freezer because it’s the best way to eat any Thin Mint whether it be authentic or a dupe. Have a great night! Also Happy St. Patrick’s Day! 2. Twist the Oreos to separate them and scrape off the cream filling. Set aside. 3. Place chocolate in a stainless steel or glass bowl set over a simmering shallow pot of water (double boiler) and stir occasionally with a silicone spatula until melted. Remove from heat and add extract. 4. Using a fork, dip and coat oreo halves in the melted chocolate. Let excess chocolate drip off before transfering to lined baking sheet. 5. Leave at room temperature until set. Store in freezer or refrigerator. "Spring Cleaning: A New Blog Design"